With this universally compatible ¼” CMOS camera mounted conveniently on your license plate, you can reverse your car or park with confidence. Designed for universal compatibility, this ¼” CMOS camera provides a crisp, clear view, for front or rear use. Say goodbye to blind spots and poor visibility. With build-in adjustable parking lines, you’ll always know ahead of time exactly where you’re headed. 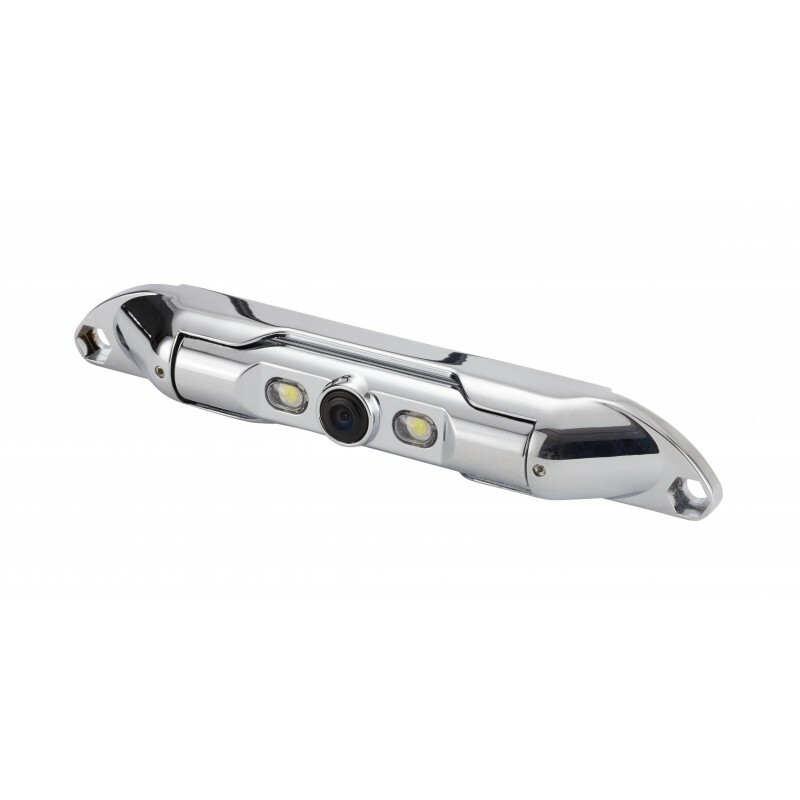 Features LED for night time illumination. An appealing chrome finish blends right in with almost any car, and with an IP67 waterproof rating, it’s designed to last through even the toughest conditions.